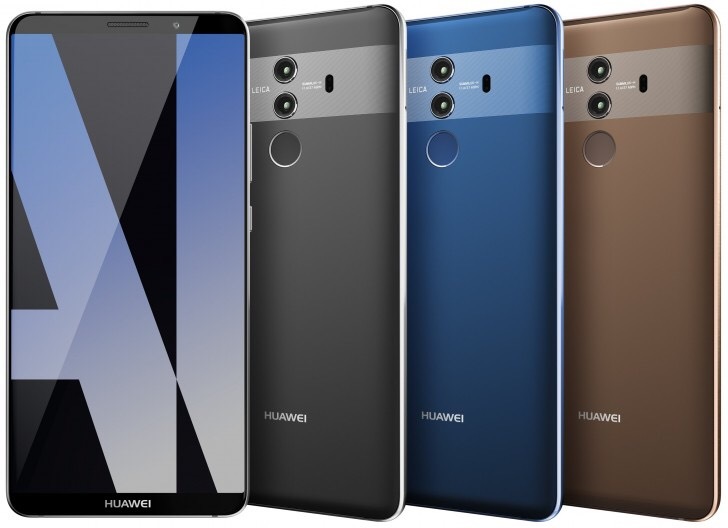 Here is the first real look at the upcoming flagship by Huawei, the Huawei Mate 10 Pro, courtesy of Evan Blass. In these images we can see the near bezel-free front, the two Leica-branded snappers on the back as well as the phone’s design and color scheme. Do take a note that the Mate 10 Pro is only one of the upcoming versions – along with Lite, regular and Porsche edition. If you zoom in on the image you can spot the f/1.6 aperture of the main camera. As for the strip that contains the camera equipment on the back, it has a lined pattern and could be glass. Plus, the brown color option is unique too and it is looking good I the images. Huawei is expected to show off a total of four Huawei Mate 10’s on October 16 – a regular Mate 10 with a 5.9-inch 1080p LCD, a Mate 10 Lite model that could pack a lesser Kirin chipset, the Pro and most likely a Porsche edition with the top specs and a classier design. In other news the new Kirin 970 processor by Huawei will debut with the Mate 10 series, will have full USB-C audio with support for 32-bit sound. According to a recent report, the Mate 10 Pro may cost over €900 which is similar to Samsung’s Galaxy Note 8 flagship smartphone. And Apple’s iPhone X.